Voted No.1 hostel in Latvia 2012, 2011, 2010 & 2009. Aussie owned backpackers in the heart of the old town. Only 300m to main square, airport bus, central markets, bus station, supermarkets and many bars/restaurants. AK Shooting, Winter Bobsled, Free Walking Tour, Pub Crawls, Latvian Food Nights, Husky Dog Sledding, Daily Happy Hours, Latvian Beer Tastings and much more! A Genuine Backpackers for Real Travellers !!!!! 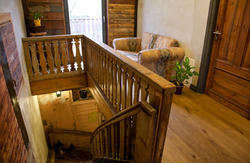 Clean, Secure and Fun Backpackers in Old Riga perfect for solo travellers and small groups. Welcoming & Social atmosphere with friendly local staff that will help you 24hrs. 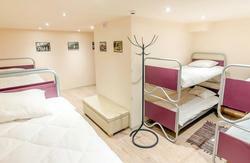 Two Common Rooms to meet other backpackers and a Fully Equipped Kitchen for cooking 24 hours. All dorms have large security lockers that can fit your whole backpack. Main entrance doors are locked 24hrs a day. Video phone entrance system. All bedrooms and entrance doors have security key card access only. The Naughty Squirrel address is 50 Kaleju Iela, Riga. We are easy to find and located in Riga Old Town, the best place to explore Riga. 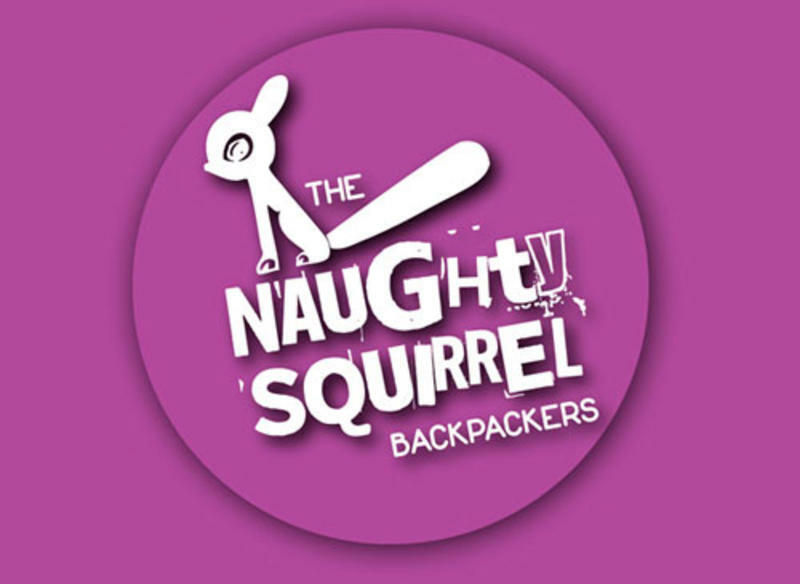 For a more detailed and accurate map check The Naughty Squirrel backpackers web page. Exit the main bus terminal and head to your left, walk under the train bridge and take the underground road crossing. Enter the underpass. There is a left side exit about 3/4 of the way through the tunnel - take this Exit. Walk up the stairs. Walk straight for 10m then towards your Right and cross the tram track (you will see a small park area with The Monte Kristo Hotel on the corner) Walk over tram tracks, through small park and around to the front side of the hotel... This is our street KALEJU IELA. Continue down the street until you reach number 50 on the right side. No.22 Airport Bus running from 5.30 till 22.30. The bus stop for the No.22 is located on the opposite side of the Airport Car park that you will see once you exit the airport. It departs around every 20 minutes and costs just 0.70LVL, just buy your ticket from the bus driver. Ride the bus for about 30minutes into the city. You need to exit the bus at the Stockman Centrs stop, there should be a display screen on board announcing the stops. Exit the bus and head towards your right... walk down until you see an underground road crossing. Enter the underpass and head towards the right. There is a left side exit about 3/4 of the way through the tunnel - take this Exit. Walk up the stairs. Walk straight for 10m then turn Right and cross the tram track (you will see a small park area with The Monte Kristo Hotel on the corner) Walk over tram tracks, through small park and around to the front side of the hotel... This is our street KALEJU IELA. Continue down the street until you reach number 50 on the right side. Take either the Red Taxis or the Air Baltic Taxis. The trip costs 9LVL and takes around 20 minutes depending on traffic. Tell the driver corner of AUDEJU IELA and KALEJU IELA in VECRIGA (Old Riga). Once you exit the taxi walk down Kaleju Iela until number 50 on the left hand side. The port is only about 4km from Old Riga. I recommend that you take a taxi and agree the price of 5 LVL with the driver before you start. Tell the driver you want to go to Old Riga and the Audeju Iela entrance to Old Riga. The journey takes about 5 or 10 minutes and is very direct using only about 3 roads.You will know you are at Audeju Iela when you see a new shopping centre called Galeria Centres. The Hostel street is Kaleju Iela number 50. Walk about 20meters down Kaleju iela then you will find our entrance. Walk up the first set of stairs and you will find the reception door which is locked 24hours a day, just press the buzzer and we will open it for you.